The Compactasphalt® method is primarily developed for applying the Compactasphalt® method on highways and other wide width roads. To provide a more economic solution when applying the Compactasphalt® method to roads with a width less than 7.5m, Dynapac is introducing the CM2500 with smaller Compactasphalt® 2.55m module. 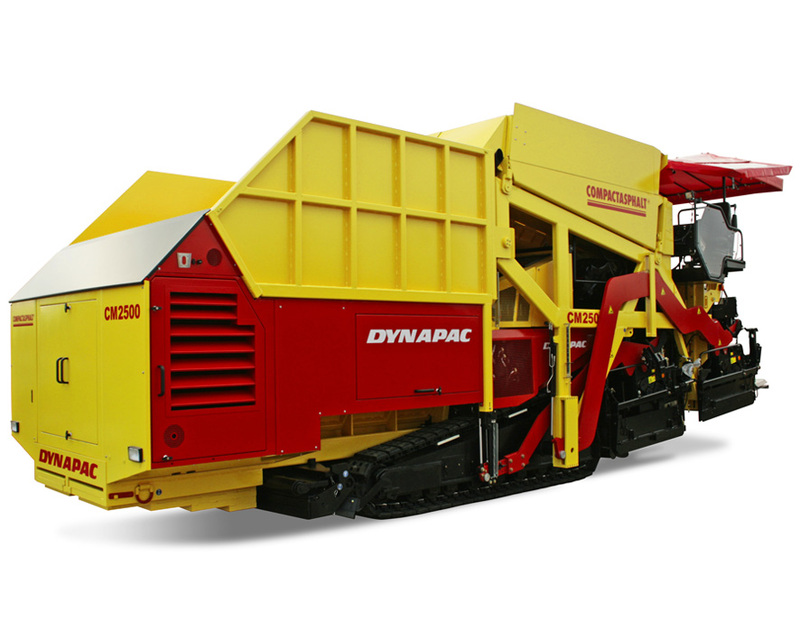 This is designed to be used with a standard Dynapac DF145CS paver. The new Compactasphalt® module is built according to a similar design as the larger 3,0m module. A main difference, however, is the drive mechanism for the module. On the smaller Compactasphalt® 2.55m module it is located in front of the paver, thereby providing two main advantages: - It acts as a counter-weight for optimized weight balance - It provides more space for wearing material. Eager to see the schematics of CM2500?